In order to answer some of the questions we currently get about future accreditation, we have added an FAQ section to the description of the Accreditation process. Have a look! As announced at the Partner Day 2017, we are excited to introduce our new format for the Avaloq Certified Professional (ACP) program. 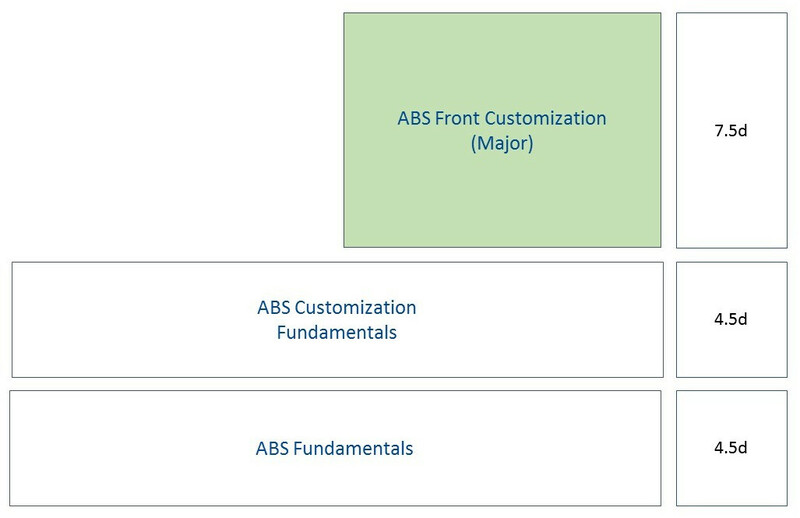 Both courses consist of 4.5 days introduction to ABS fundamentals covering topics like Object Model, User Interfaces, Booking and Settlement principles and tools like ICE or ADAI etc. Followed by another 4.5 days conveying ABS customization fundamentals like DDICS, Avaloq Script, Code Tables, Rule and Workflow Engine parameterization etc. The Core Major part covers topics like Cost, Book and Balance Engine parameterization, AMI, Forms etc., The Front Major concentrates on AFP topics like Front Workplace , AMI Web Services and Web Banking customization. Future customization specialists working on Avaloq customization, configuration or migration projects. Both courses are offered from Q1-2018 on and will be available for registration very soon. To cover additional topics, the ACP course duration has been extended to 16.5 days (taught during 3.5 weeks). Lecture times are from 9am to 4:30pm. Following the lectures, students must solve exercises (from 2nd week on). Active participation and successful completion of these exercises are precondition for obtaining the certificate. We have completely redesigned our position & book keeping course and we're making it available as Online Live Training for the first time in December. This means that participants from abroad can now attend this in depth course without having to travel! If you would like to broaden you knowledge and understanding of the Avaloq Book Engine, this course is a must. Learn what happens with a transaction from a Book Engine perspective and improve your skills in the position keeping area: this course will explain the most important concepts and customization options. Register for the first course here! This course is open solely for experienced Avaloq Core Platform Customization Professionals with an up-to-date certification and at least two years of documented project experience. With the Front Platform (AFP), Avaloq has extended its Core Platform functionality to guarantee an omni-channel experience for the banking industry. This portfolio extension requires a new skillset from customization professionals who work to implement AFP at Avaloq’s customers. With this new course, we aim to establish a well-grounded understanding of the underlying technology stack and architecture, give participants an understanding of the new concepts and teach them to apply the new customization techniques. Besides a technical foundation and AFP architecture overview, topic areas cover Banklets and Orchestration, AMI Web Services, Front Wide Object Model, Responsive Forms and Front Workplace. 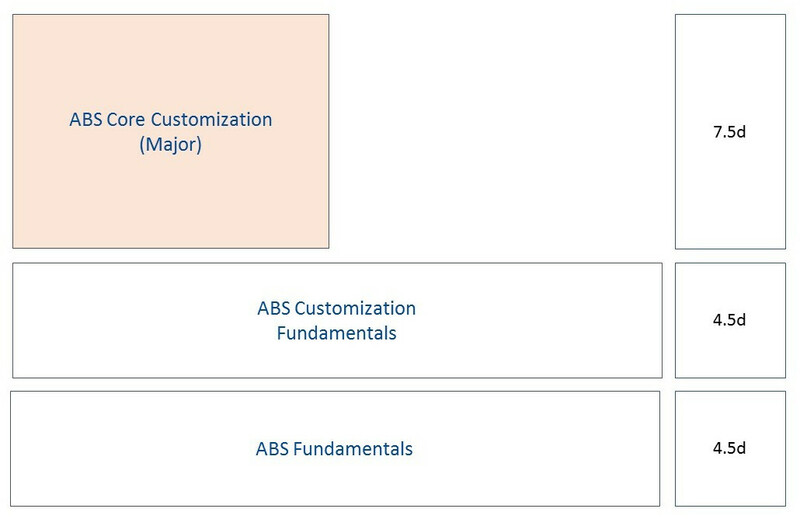 This new course prepares for the certification exam “Avaloq Certified Customization Professional with Major in Avaloq Front Technologies (ACCP/F)”. Two courses are planned in 2017 (and more in 2018) and are ready for registration now. Starting in September 2017, we will be introducing Accreditation courses for Avaloq Certified Professionals. Participants will gain an overview of the most significant and interesting customization implications of developments delivered during the second half of 2016. Please note that starting from 2018, only Accreditation courses will award education points and that most from 2020 on, points gained from other courses will no longer be valid for accreditation. The INTRO session replaces the Kick-off meetings which, until now, were a part of our Online Live Trainings. Starting in July, we have scheduled several INTRO sessions throughout the year, so that participants can choose a date that works best for them, allowing for maximum flexibility. Attendance is free of charge. Please note that, as a consequence, we had to make some adjustments to our Terms & Conditions, specifically to the cancellation terms. We suggest reviewing the T&Cs before you register for your next course!